Prizes. One (1) winner will be selected at random from comments left on the giveaway post on Facebook.com/Cavenders. 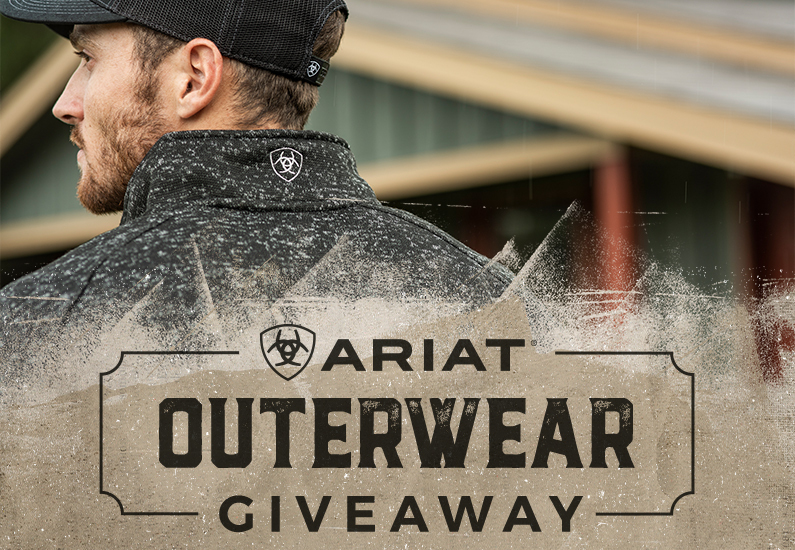 Winner will receive a prize of up to six (6) Ariat men’s, women’s, girls’ and boys’ coats and vests. Styles received will be selected by Ariat. Entering. This Sweepstakes begins online November 16, 2018 and will end on November 19, 2018 at 10:00 am Central Time. To enter, visit Facebook.com/Cavender and leave a comment answering the question asked under the sweepstakes photo. No photocopied or mechanically reproduced, including facsimile, mail-in entries will be accepted. All entries received are the sole property of Cavender’s. Identity of Winner Cavender’s will provide the names of the prize winner upon completion of this Sweepstakes on CavendersRanch.com. Boots and blue jeans would be very nice. New winter coats for the whole family would be awesome!! !